With the New Year upon us, many of us are thinking about creating good habits around the house. 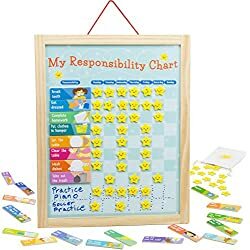 Chore charts can be a great way to establish new habits for ourselves, our kids, or even roommates, and maybe even have some fun cleaning and organizing. Here are 17 19 chore chart ideas that will help you create good habits and organize your home! Here are some free printable chore lists that you can use with kids of all ages. This cute chore chart has chevron patterns in colors for boys and girls. It would be super-easy to laminate so that you can use it over and over. You could have standard chores that the kids do every week. 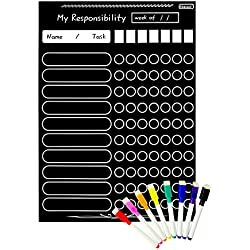 Or you could leave the chores blank and write in new ones weekly with dry-erase markers. This is cute idea for younger kids. 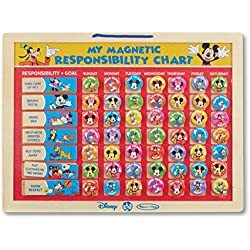 It’s more of a daily responsibility chart than a chore chart. I love how it’s broken down into morning and evening tasks. Here are eight colorful chore charts that are just super-cute. You can tell that a professional designer created them! You may be wondering what chores are appropriate for different-age kids. 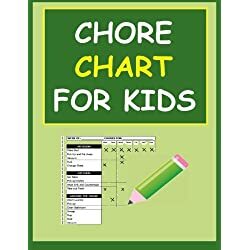 Here are some chore chart ideas for toddlers and older children. Here’s another handy list of appropriate chores for kids in different age groups. This is a brilliant idea for the littles who can’t read yet. Use pictures of the task they are supposed to complete! If you have multiple kids at home, it can be hard to remember who is supposed to do what chore. 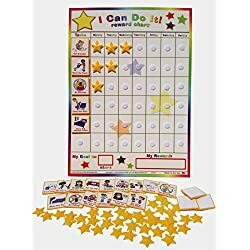 This simple chart can be printed off weekly for each child. Here’s a fun way to rotate chores among multiple children so that they don’t get bored. Each lanyard has a card with a daily job AND it has instructions for how to complete the task. Want to teach your kids the joy of earning their own money? Try out one of these chore charts with money. I love this simple “Work for Hire” chore board. Rachel shows you how to make it and how she implemented it in her own household. This is a super-cute idea if you have Star Wars fans at home. Download this Star Wars-themed chore chart and accompanying “chore bucks” to incent them to complete their daily chores. If you don’t want to pay money straight out, you could set up a rewards system. The kids earn points that can be traded in for rewards of their choosing. 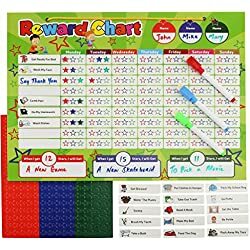 This chore & rewards chart set has space for the chores, points, & rewards available. Such a great idea! If you want to get crafty with your chore charts, check out these DIY chore chart ideas. Have old yucky cookie sheets in your kitchen cabinets? Why not repurpose them into a super-cute magnetic chore chart? That’s what Amanda did, all with stuff she already had around the house. Here’s another idea for a magnetic chore chart. This one uses a printable magnet sheet (I didn’t know that was a thing!) Really cute DIY project and you could even enlist the kids to help make them. If you don’t want to use a chart, then try these cute chore boxes. One box has chores “To Do” with each chore printed on colorful paper. When the chore is completed, move it to the “Done” box. You could make this into a fun game by seeing how many chores you can move from one box to the other in a set amount of time. 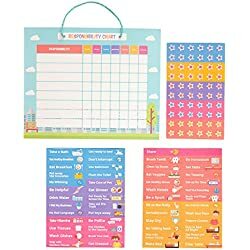 Chore charts are not just for kids! I find it super-helpful to have lists of chores that need to be completed. That way I know what I have already done and what still needs doing. If you want to get organized with your housework, then weekly and daily chore lists are a must! This free printable will help you set up a routine (plus it’s so pretty). Spring cleaning is a big job! But isn’t it a great feeling when everything in the house has been decluttered and deep cleaned? This Spring Cleaning checklist will make sure that you don’t miss anything. 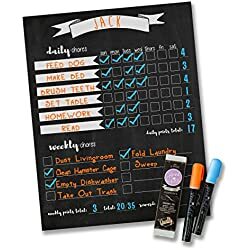 If you live with roommates, than a chore chart is a great way to ensure that everyone pitches in and shares the responsibility for keeping your home clean and organized. 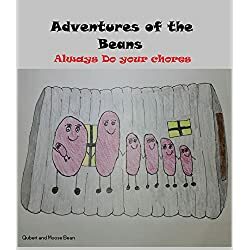 Need more help getting kids to do chores?